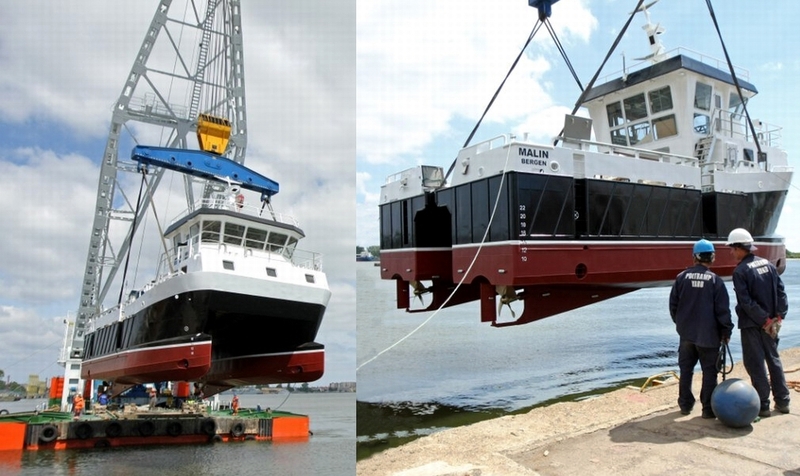 Launching of the catamaran with use of a floating crane. On June 17, Poltramp Yard SA launched the partially outfitted hull of the fish-farm service catamaran vessel destined for Norwegian owners. 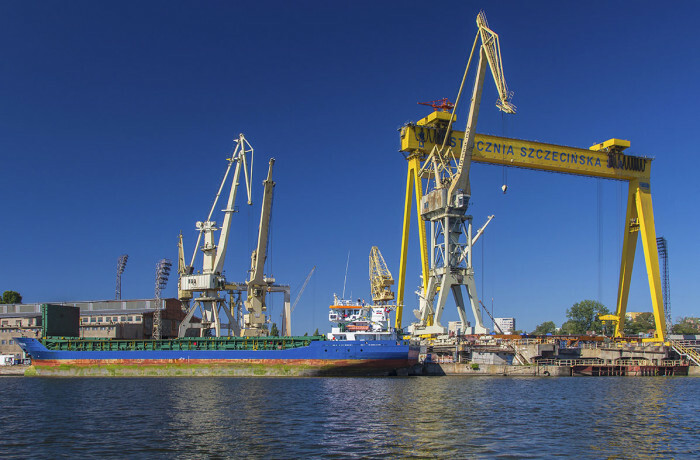 Malin is another catamaran to be turn-key delivered by Świnoujście based yard. 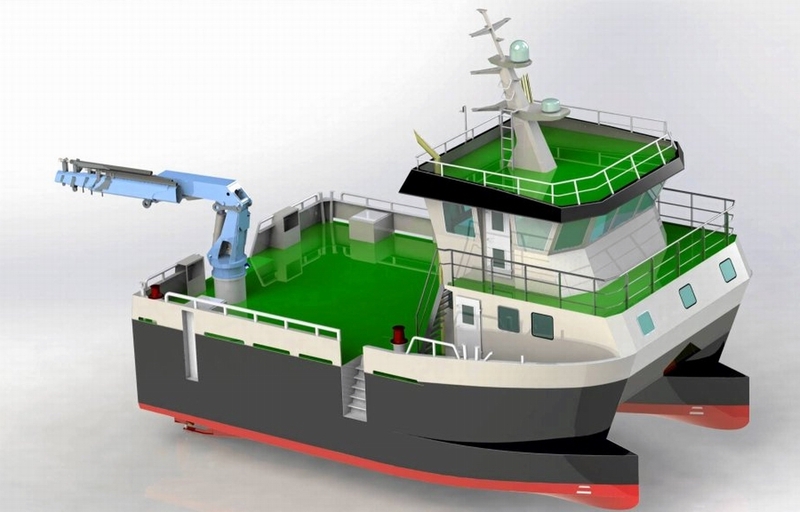 The 159A type ship, designed in-house at the yard in close co-operation with the client is a twin-hulled workboat, 14.95 m long and 9 m wide, powered by two diesel engines 450 HP each. 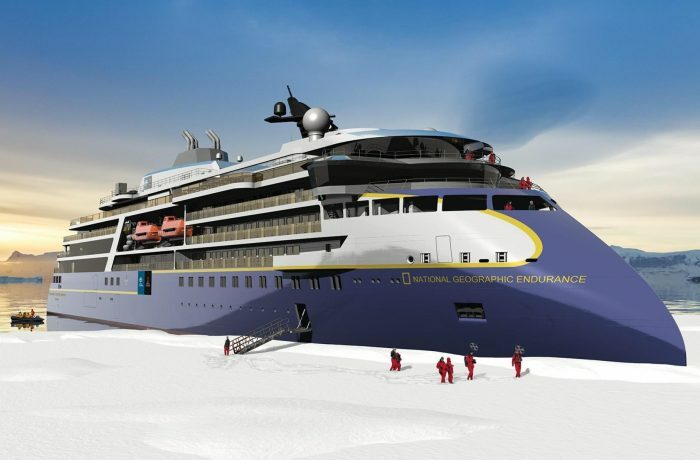 Computer rendering of the catamaran. The craft features two deck cranes, 15 T pull towing winch, three hydraulically-driven capstans and large loading capacity off the work deck. The catamaran, after final outfitting and sea trials, will be delivered to owners in July. 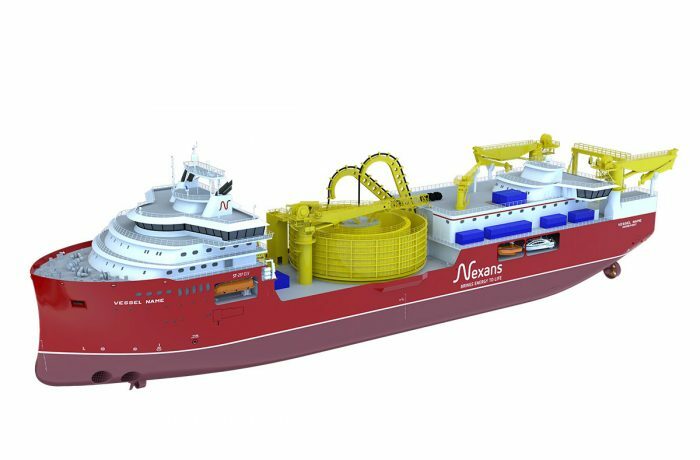 Currently the yard has another two catamaran workboats under construction – one steel hulled and another built of aluminium, as well as a large cable laying pontoon-barge destined for German owners.